More free outdoor concerts! 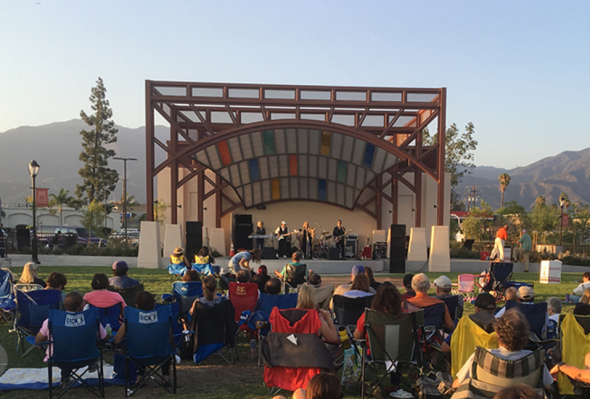 The City of Monrovia will be hosting concerts throughout the summer on Wednesdays and Saturdays at Station Square Park, located right next to the Gold Line Monrovia Station. The concerts will take place from July 8 through August 26. Check the lineup of performers here* or see below. The concerts are open to the public and welcome all ages. Each performance will last from 7 to 8:30 p.m.
*Note: Sunday concerts will take place at Library Park at 321 South Myrtle Ave. You can get to the park via Foothill Transit.